Today's my last post on the Neat & Tangled blog. 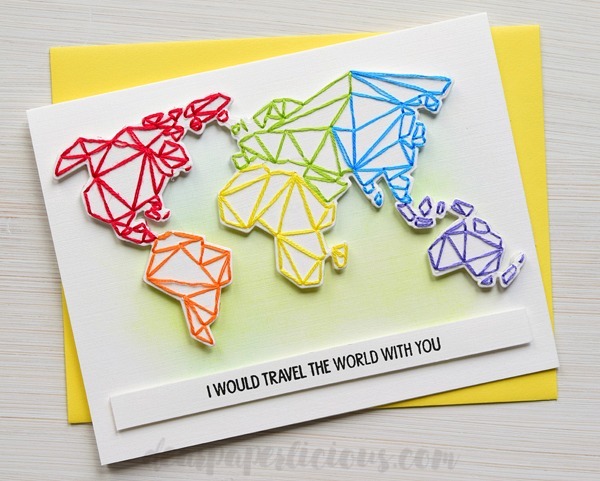 I used the fantastic Origami Map stamp set and die to make two very different cards. Head on over the Neat & Tangled blog for tips on hand stitching on cards and more. Thanks! MOOD WHEN DONE = Terrific! Gasp! The stitching on your first card is amazing! Even those little islands!! But it was probably worth the time you invested--what a work of art! Oh, and your second card is pretty cool, too. Five minutes? That's more my speed! 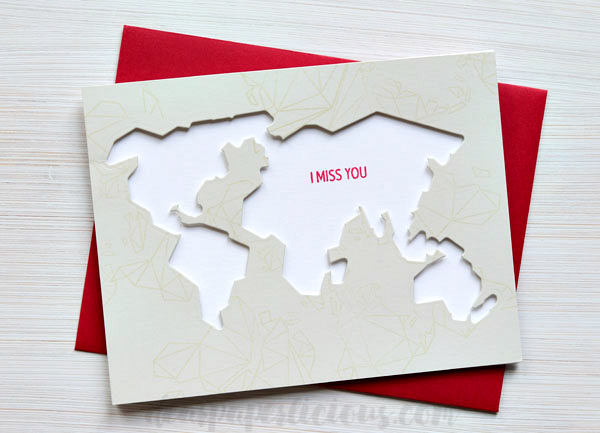 Your map cards are just wonderful! Love the stitched one! Super work! LOVE how bright and wonderfully happy that embossing is done! I love both cards, but the stitching on the top one is especially good!